Delta #EpicFail —Epic Fraud #2 : WWTKD – What Would Tom Kain Do ? Sun, 26 Jun 2016 at 11:59 p.m. The What if? site has attracted a lot of (unwelcome) attention from higher echelons of the municipality, in recent weeks, both in relation to the #EpicFail posts and others, with intimations some posts are defamatory. (What, this correspondent ? genteel to a fault !). Of course all the while claiming there is no problem with criticism and opinion….. just as long as it’s not too accurate. This does the valuable service of confirming that we are getting close to the source of some very sensitive and awkward matters, and we need to box clever to avoid the constrictive embrace of harassments, and box clever we shall indeed. Stay tuned readers, same bat-time, same bat-channel, and your correspondent will attempt to make the complex digestible, and show where Delta fits in all this. Meanwhile readers, first some revision : cast your minds back to the Delta #EpicFraud post where your correspondent suggested that Delta were about to have an action brought against them for constructive fraud. It is your correspondent’s experience that Dunedin lawyers are notorious gossips (they make tea break at a primary school staffroom look like a sombre diplomatic forum). Someone, who knows someone, who knows a person has confirmed that a letter was received by a Dunedin law firm in recent times, say… Friday April 1 2016, accusing Delta of constructive fraud under the Land Transfer Act and asking the firm if they were authorised to accept legal papers in relation to an action against them. Well, Gentlemen of Delta, I bet the Minties and Favourites got a thrashing, upon learning THAT ….now, on June 13 2016, the plaintiffs have formally made application to the High Court that Delta be joined to the action as a party to the alleged constructive fraud. Alert readers of the #EpicFraud post will remember mention of the security sharing agreement for Delta, the “dictatorship” that would attempt to defeat the prior interests who had caveats, and how it is alleged that this was a form of constructive fraud. We can imagine there was a lot of rattling saucers, and a whole lot of Bell’s best consumed right now by its scribes… a local Dunedin law firm we dare not name. Writing unenforceable documents tends to give clients a good reason to blame the authors of such documents for difficulties, generate complaints to legal disciplinary forums, and claim damages and costs against a law firm. This is the point of tonight’s teaser post…. But readers, we must confine ourselves to the facts, not indulge in lateral speculations that may injure the feelings of parties. So, Gentlemen of Delta, can we please have the facts ? 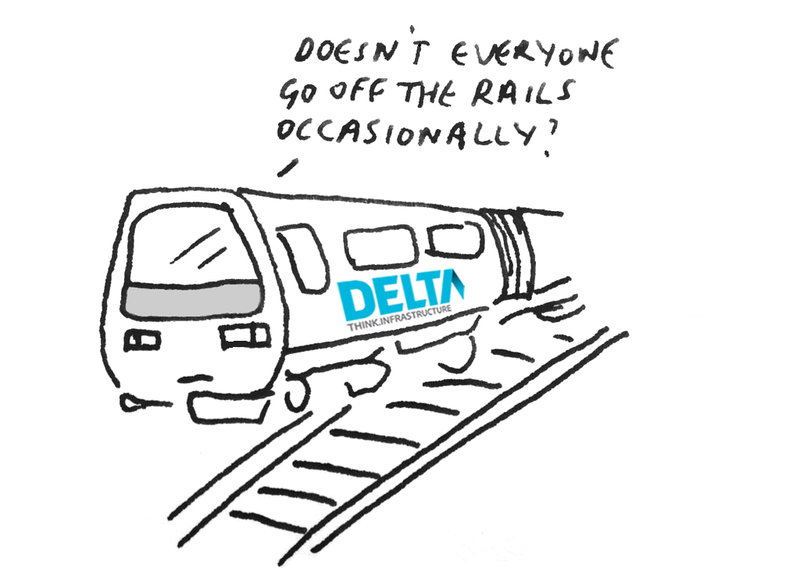 Your correspondent thinks this is the last station on the line for the Delta Gentlemen to have a semi-controlled exit from the Delta / Noble runaway trainwreck, with credibility intact, by giving Dunedin the full account of what, why and how, before the impending court action does it for you. It’s not your money, it’s ours, and if Delta is now facing an action for constructive fraud; on top of losing many millions (acknowledged in MSM by those authorised to speak); someone – we say, the Auditor-General – will look closely at who was responsible. Who might that be ? Some clues : Who was heading up Delta when this deal was inked in 2009 ? Who has allowed this deal to become a toxic malignant cancer for seven long years ? How on earth did Delta (it appears) come to be facing an action for constructive fraud ? If there is any truth to these allegations, then who is to be held accountable ? In a previous post, we suggested a legal opinion be obtained on Delta’s culpability, from someone far from Dunedin. More than ever, that needs to happen. Are there local politicians who can find some intestinal fortitude to assist on this compounding mess in election year ? And readers, let’s keep a weather eye on complaints to the New Zealand law society over the next 6-12 months…..
█ For more, enter the terms *delta* or *noble* in the search box at right. A hand in every pie. If it waddles like a duck and quacks like a duck, there is according to pundits an extreme likelihood of it being a duck. c. DCC companies unable to pay dividends for three years. One would not be ungenerous in describing that duck as a “Failure Duck”. Of course supporters might say that it is because of his great skill at revitalising failed companies that caused his appointment, except that in the case of Delta, the SDHB and DCHL all are worse basket cases than on his appointment. “Same Bat Time/Same Bat Channel!”/Stop. I can’t stand it. You..you should have prepared me for this. That railcar (fig 1), is a Caterpillar™. Of course it goes off the rails, properly known as the Permanent Way (way, way…). No, take the Vulcan™, which has compartments, or Fiat™, a real old dieseler called ‘Drewery (dreary) car. Er, we still have passenger rail, don’t we? I will not be taking a driverless bus when I’m 80. Some fool might program incorrect co ordinates onto an ice floe. So on Monday we had to sit through the Councillors’ belief that Delta’s Statement of Intent 2016/17 would yield, in essence, a performance to bring riches in the form of dividends back to DCC, The Shareholder, one day. But really, what Councillors should have been querying is the present state of Delta as outlined via Christchurch Driver’s posts at What if? —about the ongoing #EpicFail of Noble Subdivision at Yaldhurst Christchurch. To his credit, Cr Vandervis did raise some questions but discussion was overtly subdued. That ballooning ‘infrastructure failure’ has now to meet (yes!) qualified pending evidence alleging constructive fraud at the Christchurch High Court. Advice to the Court on 13 June from the plaintiffs (the caveators, being the original landowners) was that they intend a joinder, to include Delta as a party to the constructive fraud. Has DCHL spelt that out to Councillors ?! That, we think, is worth an early warning. But such is life. Christchurch Driver [CD] is the correspondent at this website, providing background and updates on proceedings. We have CD stationed with a ringside view. If only the Councillors could say the same —although when Cr Calvert queried DCHL on Monday about ‘no surprises’ (policy !) of a substantive sort, that Councillors should have timely warning – indeed, DCHL replied in the affirmative. However, DCHL is years too late, the ALERT mis-scheduled, crashed-and-burned, will now be growing weeds under the powerlines at Noble Subdivision. Surprise! There are times we regret the absence of carrion crows and town criers in coloured tights. But back to business. The Statement of Intent was written in the positive, or perchance the oblique as an exercise of self-preservation to the unobservant or persons who hate the diversion of Reading in their spare time. Luckily, Whatiffers are here because THEY READ. … satisfying the neighbour’s concerns. Ah-ha! the phrase “uncertainty remains”. That is a tiny motion to something gargantuan for Delta dressed as Gold Band Finance. GBF’s words don’t account for the complexity of where legal processes are journeying. If, if Delta demolishes, then Aurora goes too. Councillors! So, the best that can be hoped for is a mortgagee sale? But then what value is there when, as I understand, the subdivision has no consent, and it seems it is non-compliant in as much as the street widths and stormwater facilities are inadequate. If so, who in their right mind (except Delta) would buy into that can of worms? Maybe CD can clarify these points. CD has another post ready for publication, Calvin. Do remember the cost of legals and interest on debt can be supercrippling….. we always said there would be little if anything left. The vultures I’ve seen hovering over the Noble remains are not known for philanthropy.